Cults | Why Dont You Blog? The Times filed a Freedom of Information request to access the National Archive files on Scientology. The Department of Health yielded the information on diplomats’ efforts to find out if Hubbard was really a PhD. The founder of Scientology, L. Ron Hubbard, was exposed as a fraud 30 years ago by British diplomats who were investigating his qualifications. The science-fiction writer, who invented a religion now followed by celebrities such as Tom Cruise, awarded himself a PhD from a sham “diploma mill” college that he had acquired, the diplomats found. …..
“…L. Ron Hubbard was awarded the degree of Doctor of Philosophy by Sequoia University on February 10, 1953, in recognition of his outstanding work in the fields of Dianetics and Scientology and that the said degree was recorded with the Department of Education of the State of California,” John McMaster stated. might have passed for academic support for the idea of the sciencey- sounding Dianetics actually being a science. It’s still hard to imagine a world in which any reasonable person would accept that, even if it turned out to be supported by a PHd or a full professorship or an NVQ Level 1 in Customer Service. Bart Simpson used to be an underachiever and proud of it. These days, it seems, he’s an Operating Thetan VII in the Church of Scientology and proud of that, too. At least, that is what Scientologists were led to believe this week when they received an automated telephone message featuring the voice of Bart inviting them to the Scientology Flag World Tour, an event being held in Hollywood tomorrow. Blimey, those Scientologists are real celeb-magnets. Even the voice of a cartoon character – whose defining characteristics are mischievousness and stupidity – is grist to their celeb mill. Although, it turns out that, in the real world, Bart’s voice belongs to a woman who is an Operating Thetan VII “and therefore an individual who can operate independently of her body” (The Times). Hmm, sorry, did I say “in the real world”? As it happens, I have a Nobel prize from Oak University, awarded for my sterling work in Camillanology. I have produced a rigorous science-filled training plan that will allow dedicated students to gain the mystical power to talk out of their bottoms. And I love cartoons. Mountain Rock Church seem (insert your own appropriate words. My linguistic range is too limited.) There are preview clips of a compelling, if very disturbing, movie about escapees – especially what happened to their children – on joinusthemovie.com. The footage of the cult-leader’s wife was amazing. She used so many verbal mechanisms to manipulate weaker characters, in so masterly a way, that I almost assumed this whole section must have been scripted by a genius. Her use of emotional blackmail, aggression and misdirection certainly went some way to answering any questions about whether violence alone could have subdued these people so effectively. It looks more like power backed up by ideology. One of the anti-cult people described the church as a “concentration camp for children.” There certainly seem to be some universal patterns to the way this sort of inhumanity is expressed, from the concentration camp to the child jail. What’s the difference? Well, there’s clearly a difference on the level of damage done, and, on the movie evidence, the Mountain Rock kids were “just” physically abused. Their parents were present, though this is perhaps even more disturbing, given that these adults let their lunatic faith override even the most basic animal instincts to protect your young. The main obvious difference is in the “religious” justification of the Mountain Rock stuff. There could be blog-pages of discussion here as to whether abuse is inherent in religion itself or whether “religion” is just a subset of a general category of ideological support for criminal actions. Religion is certainly up there as the number one smokescreen for abusing other humans. Its effectiveness rests on a whole handy supporting belief structure, in which the human is basically required to pay constant slavish and adoring obeisance to an all-powerful superbeing who will smite whenever his wishes aren’t followed. It may be that the Haut la Garenne child torturers had enough real power over the kids in their “care” to be able to do whatever they chose, without needing to resort to some belief system. They seem to have had control over many of the local state institutions for a start… Even so, they were supported by a generally authoritarian Jersey mindset. Plus a UK culture that demonises some children and refuses to see any disturbing reminders of how damaged they may be. This sort of leads me to a more general point about torture. Not the torture carried out by the secret child-abusers, but the increasing resort to the same dishonourable justifications for places like Gitmo, interrogation techniques like waterboarding. So I’ll have to labour the metaphor about how society deals with troublesome kids. Bullies, thieves, gun-toting gang members, and so on. Most of them got that way through the malevolence, greed, carelessness or stupidity of adults. When they fight back by becoming at least as repellent as the people who created them in their own image, we seem to think it’s OK to do whatever it takes to subdue them. If it sometimes involves brutality and torture, so be it. We then fail to see that this just makes the problem of there being people with no respect for others infinitely worse. Hmm, painfully laboured metaphor coming – war on terror…….. Fill in the gaps. But it was still too good to pass up. Although it’s pretty obviously a joke. Well, I mean a deliberate joke here. Although that would be a pity, because it would be much funnier if it wasn’t. I have heard many bad things about these books and movies, there would be countless instances of witchcraft, cursing, brewing of drugs made by boiling alive babies pulled from the earth, sexual congress with goats and many more things not fit for young readers’ and viewers’ eyes, but what I found was much worse still than I had feared. I’m just smugly thinking to myself “All very amusing but it’s a bit too over the top to be a credible parody” when I spot a link to something called Christian Resources Net Directory with a suggestion to vote for this site as a top Christian site. Gratifyingly, on CRN this is indeed Number One, with an impressive number of votes (5462), although I must confess that my own inept attempts at keeping the right Firefox tab open increased the total by 3. What other gems hide behind that CRN list of links to Christian sites? I try “creation vs evolution”. Only one link and that it is the Answers in Genesis This concept would work very well if you are trying to do a homework assignment with questions like “Name the band that Phil Collins used to be the drummer of?” Otherwise, it’s quite difficult to see what use it would be so I’ll skip it. I don’t know enough about Genesis to even frame any more questions. It’s just not my style of music. What about cults? That has an impressive 6 category entries. (Impressive because most categories have 0.) Bah, the first two are links to the site that took me there in the first place. Skip them. This book is being printed of necessity for all such as it may pertain to, and to all others of public freedom of speech and expression; believing and advocating these liberties as equalitarian, and further refuting the idealist concepts and butcherings of the Way, Truth and Life of Jesus Christ – the authentic Christian’s Saviour, Master and Friend. Like most cults, Seventh-day Adventist cultic practices have identical terminological definitions similar to doctrinal prerequisites – but diction them abstractedly different in contextual realism and verity to Biblical interrogations and conductive evaluation – signifying an astringent and interpretive critical analysis from Biblical unmixtured sequencing and paradynamical reasoning of common sense. The literary reference here must be that baffling spam that floods your email inbox with random collections of verbs and nouns to trick you into opening a Trojan attachment, while convincing the spam filter that it’s a real email because it uses words that are in the dictiionary. (Some of them anyway, although maybe not as the same part of speech.) Oh, bugger. I realise that I’ve already gone to this site and of my own free will. I’ve probably opened my PC to yet another incursion. What about Bible – The real world then? Wasn’t that the name of a TV “reality” programme? The Biblical version, perhaps disappointingly, doesn’t stick a load of teenagers in a shared flat and watch them argue about the interpretation of Leviticus 17:4. Charmed as I am by the idea of Ex-witch Australia, it hasn’t had a post since January. Its posts start with the quaint “G’day” just in case you doubt its antipodean ex-witch authenticity. independent, nondenominational Christian research and apologetics ministry focusing on new religious movements, cults, the occult and the New Age. The most common request Watchman Fellowship receives is for advice on how to share the gospel of Jesus Christ with friends and families who are members of cults and new religions. We are also often asked for recommendations on the best resources to prepare for, or use in, evangelism. In response, we’ve created these special sections linking to some of our best resources to help you in reaching out to friends and loved ones. Witnessing to Witnesses? It’s got to be a tongue twister. Not that I can’t improve on the original. Try saying “Witness witless witnessing to witless Witnesses” aloud a few times. Fast. Ha. Couldn’t, could you? Which topic brings me neatly to a link at the bottom of the Bible-the Real World page. A link to the Top 1000 Christian Sites. Top thousand, that was. The heart sinks as the mind boggles. JCSM’s Top 1000 Christian Sites is a free, traffic sharing program. We welcome the best Christian sites in the world, so we can bless them and share traffic with them. Join for free or visit one of the sites below, today! There aren’t a thousand, yet mercifully. The lowest ranked site is in the 109 position. Its stats make depressing reading indeed. It would possibly constitute cyber-bullying to actually post its url here but I have to tell you that its average weekly number of page views is 0.1. Its total number of page views EVER seems to be 3 and it’s not a new site. Well, you will be pleased to note that Christian-esque charity exists even in the cold rationalist heart. I clicked. Following on from the previous post, where it seemed the Archbishop of York was a strong contender for Idiot of the Year award, I have stumbled upon a post by Dinesh D’Souza (via Nullifidian’s blog once more) and Oh My Thor, if we don’t have an even stronger contender. Two wingnuts in one weekend. Loki must be having a field day! Although it only attracted minimal response here (one troll who never came back), the news about Cranky McKeith being told to stop calling herself a Doctor resulted in mountains of posts (281 last time I looked) on Ben Goldacres’ BadScience blog. That said, there are some striking similarities between the woo posted by the pro-McKeith (and her ilk) lobby on Badscience, the troll who stopped by here for a few seconds and the rest of the nonsense which pollutes the internet. Ben, I think you will turn out to be just as arrogant as all the doctors that go before you. Gillian Mckeith, if nothing else, has encouraged people to realise that nutrition has a direct link to their quality of life and health. I would rather trust in good nutrition to prevent me from getting ill than an ever increasing supply of pharmeceutical drugs that cover up symptoms until they get worse. How many people do die each year from side effects of drug intervention? and what exactly was your Hippocratic oath? With all the incentives doctors get from pharmeceutical companies and the huge power those companies wield one could imagine that it was not really in a doctors best interests for a patient to get better. Humans are not machines, we are self-healing organisms and should be encouraged to remember this. Doctors are trained in body mechanics but not in healing or health and most of them are too arrogant to accept that there are other journeys to health. I mean, that is good…. I am fairly sure it hits pretty much every logical fallacy I can think of. The big claim goes along the lines of “if nothing else…” and this is used by apologetics of all flavour – ranging from the religious who say “if nothing else religion has made people happier” (or whatever) to the cranks who think the cruel and inhuman treatment of fat people doled out by McKeith is a GOODTHINGÂâ„¢Â®. While it is (remotely) possible that McKeith has made people aware that nutrition is related to health (and if they needed McKeith to become aware of this, then I suspect letting them die would have been the kinder thing to do), this does not for one second excuse the nonsense, crackpottery and sheer, unadulterated bad science she wrapped her nonsense up in. Creating weird rituals, falsifing science and tricking the public is not an “acceptable” means to an end. The “how many people die each year” is fantastic. The appeal to fear there is brilliant because at its core, the sentence carries some truth. People do die of drug side effects. Side effects are called side effects for a reason. No one in their right mind thinks anything which works to treat an illness is 100% safe. The only possible reason McKeith’s recommendations were safe is because they do not do anything. This argument always pops up from the homeopathic woo-ers and it is tired and repetative at best. This poor poster puts the nail in the coffin with “Doctors are trained in body mechanics but not in healing or health and most of them are too arrogant to accept that there are other journeys to health.” Well done. Sometimes I despair that we allow people like this to have recourse to the NHS when they get sick and suddenly realise that crystals (or whatever nonsense they are in to) will not mend them. On an additional note, in addition to massive visitor numbers, Stonehenge is often inundated by “druids” and new-age hippies in the summer, come the cold weather and they are noticeable by their absence. 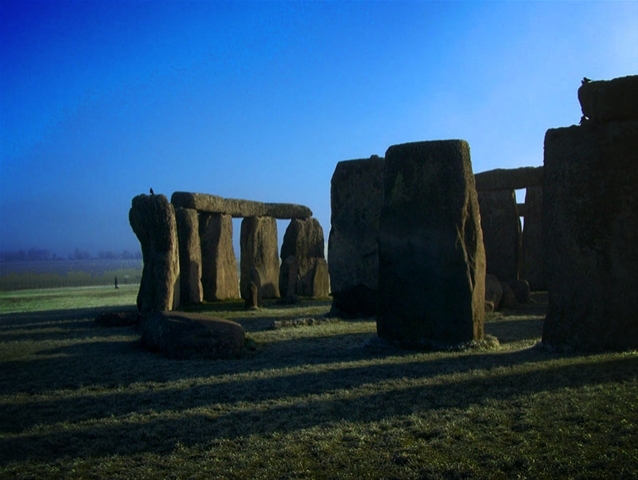 For some reason the idea that Stonehenge is a “summer” monument. 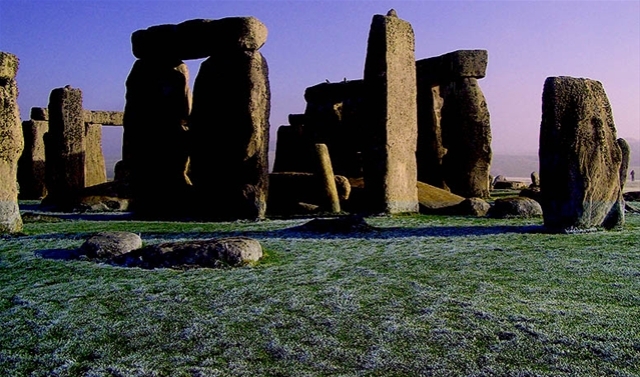 I can understand, say, 50 years ago, people thinking this but surely almost all modern studies point to any religious significance of this site being focused on the midwinter solstice? 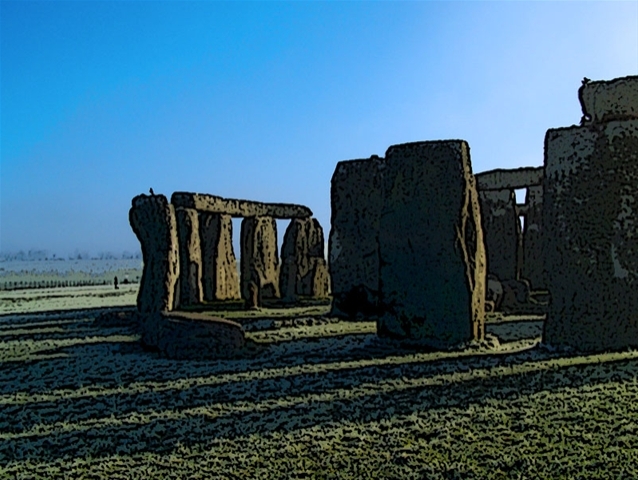 I should point out, there are die-hards who turn up for the midwinter solstice – even if they don’t know what the correct date is – but no where near the scale of the midsummer one. Maybe modern people just cant take the cold as well….